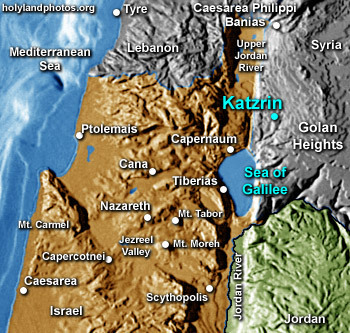 Katzrin/Qatzrin is located on the Golan Heights, northeast of the Sea of Galilee. The "Talmudic Village" dates from the fourth through the eighth centuries A.D. Various buildings - and an ancient synagogue - have been reconstructed and furnished with artifacts from the period. The site was excavated by Z. Ma'oz and A. Killebrew. This educational and well-presented site is open daily.